Rooting opens up your phone to a whole host of hacks and tweaks — but it can be a pain Do You Still Need to Root Your Android Phone? 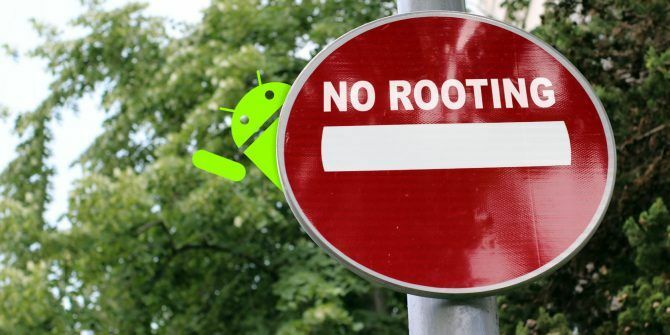 Do You Still Need to Root Your Android Phone? Rooting used to be a necessity for many, but as the years have gone by, is it still as useful? Read More . 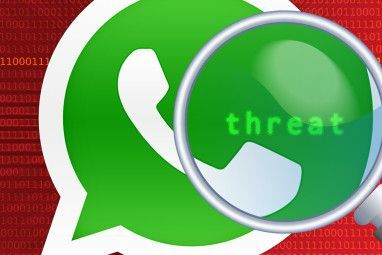 Rooting can prevent some apps from working, and it risks exposing your phone to potential security problems. Fortunately, it isn’t a prerequisite for modding your phone. A surprising number of very powerful and popular hacks can be done on devices that have not been rooted. Read on while we take a look at the best of them. Even though you don’t need to be rooted, there are some technical aspects to these hacks. Some of them will need an unlocked bootloader How to Easily Root, Unroot and Unlock any Nexus Device How to Easily Root, Unroot and Unlock any Nexus Device The great thing about the Nexus devices like the Nexus 4 and Nexus 10 is that they're easily upgradable, they're free of any bloatware provided by vendors and carriers, and they're made to be tinkered... Read More , some use the ADB and Fastboot tools How to Use ADB and Fastboot on Android (and Why You Should) How to Use ADB and Fastboot on Android (and Why You Should) Learning to master ADB and Fastboot can make your Android experience a whole lot better. Read More , and some require a custom recovery What's a Custom Recovery? Exploring CWM, TWRP, and Friends What's a Custom Recovery? Exploring CWM, TWRP, and Friends If you've ever considered tinkering with your Android device, you've probably read that you need to flash a custom recovery onto it before you can do anything serious. But, that begs some questions. Read More to be installed. If you’re into tweaking your Android phone, then you should already be familiar with all of them. If not, click through to the links above to learn how they work. And remember, for the more-advanced hacks, make sure you’ve backed up your data before you get started. The Google Now cards feed is only available via the home screen on Android 6.0 devices and later. This means that the nearly 30 percent of people still using Lollipop are missing out on one of Android’s smartest features. But not anymore. The feature has now been built directly into Nova Launcher. A simple swipe to the left gives you instant access to weather forecasts, sports scores, traffic reports, and all the other personalized info that Google serves up. To get started, install and set up Nova Launcher from the Play Store. Then download and install the additional Nova Google Companion app [No longer available]. You’ll need to set your phone to allow app installs from unknown sources Is It Safe to Install Android Apps from Unknown Sources? Is It Safe to Install Android Apps from Unknown Sources? The Google Play Store isn't your only source of apps, but is it safe to search elsewhere? Read More , if you haven’t already done so. Go into Nova Settings and swipe down until you see the Google Now option. Activate the Google Now Page setting. Your Google Now cards will now be accessible in the left-most panel of your home screen. Also, you can activate Edge Swipe to be able to access the cards via an inwards swipe from the left edge of the screen in any app. This works in the free version of Nova, although upgrading to the paid version is a great way to support the developer of one our favorite third-party launchers Nova Launcher - Even Better Than The Default Android 4.0 Launcher Nova Launcher - Even Better Than The Default Android 4.0 Launcher Up until Ice Cream Sandwich (Android 4.0) came along, Android’s interface felt somewhat less polished than iOS’s. But with Android 4.0, Google made a clean break with the previous visual style for Android, introducing Holo... Read More . The larger size and higher resolution of the latest smartphones Should You Buy a Samsung? 5 Samsung Galaxy S8 Alternatives Should You Buy a Samsung? 5 Samsung Galaxy S8 Alternatives Looking for Samsung Galaxy S8 alternatives? We've covered five of the best smartphone options in 2017, ranging in price from the budget to the premium. Read More are rarely used to simply show more stuff on screen. It’s used to make text smoother and images crisper. As a result, modern smartphones look incredible, but for some people they’re also a missed opportunity. If you’re averse to scrolling and have good eyesight, you can reduce the pixel density of your display. This makes everything smaller and fits more onto the the screen at any given time. It’s an easy tweak — one that you can experiment with, and that can be quickly undone if you don’t like it. First, install DPI Checker from the Play Store. Run it to see what your phone’s native DPI is. Download and set up the ADB tool from the Android developers website. Read our guide here How to Use ADB and Fastboot on Android (and Why You Should) How to Use ADB and Fastboot on Android (and Why You Should) Learning to master ADB and Fastboot can make your Android experience a whole lot better. Read More if you need more help. Go to Settings > Developer options and activate USB Debugging. Connect your phone to your computer via USB. In a Command Prompt or Terminal window, type adb shell wm density [DPI] where DPI is your preferred pixel density. Reboot to see the change. Choose a smaller number to fit more onto the screen, and a larger number to make text and images bigger. Repeat the command to revert back, setting the DPI to the native level you found in step 1. Rooting and flashing a custom ROM are often seen as two parts of the same process, even though they technically aren’t. True, if you want to install your ROM using an app like ROM Manager or FlashFire, then you will need to have rooted your phone. But you can just as easily flash a ROM manually using a custom recovery, and you don’t need to be rooted to use that. Equally, you can download and install an OTA system update via ADB. Download a custom ROM to your phone’s internal storage. Reboot into the custom recovery. Go to Backup to create a Nandroid backup. Go to Wipe to clear your phone. This is optional but recommended. It will wipe your apps and data, but not the contents of your internal storage (including the backup). Go to Install. Navigate your way to wherever you saved the downloaded ROM. Select it, then swipe the bar at the bottom to begin. Reboot your phone once it has finished. You’ll need to reinstall your apps and set up all your accounts once more. Along similar lines, it’s another misconception that your phone needs to be rooted to support a custom kernel Why You Should Consider Using A Custom Android Kernel Why You Should Consider Using A Custom Android Kernel Do you want the best performance out of your Android device? Or maybe you want the best battery life? Consider a custom kernel. Read More . The kernel is a piece of software that sits between the operating system and the hardware, and manages every interaction between the two. The speed of the processor, the brightness of the display, the responsive of the screen, and many more things are all controlled by the kernel. The stock kernel on most devices is designed to strike a balance between performance, stability, and battery life. A custom kernel enables you to prioritize one or more of those qualities over the others. Installing a custom kernel is done in the same way as a custom ROM. If you have root, you can use an app. If you don’t, you install it through your custom recovery. Third-party kernels can be found in the device forums at forum.xda-developers.com. Just make sure to select one that was built for your exact model of phone, and one that is compatible with the operating system you are using. 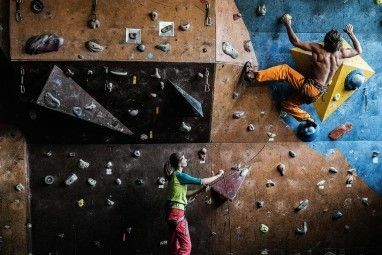 Creating a full backup Don't Lose Your Data: 5 Top Backup Solutions For Android Don't Lose Your Data: 5 Top Backup Solutions For Android Everybody needs to back up their data in case something happens to their device. Protect yourself with these amazing backup apps. Read More of your phone is an essential task, yet remains more difficult than it should be. If your phone is rooted then there’s no problem — just install Titanium Backup and you’re good to go. Without root, you have a couple of good options. The most advanced method is to install TWRP, the custom recovery, and make a Nandroid backup. This is what you’ll use to restore your phone if you ever brick it How to Unbrick Your Android Phone: 4 Methods for Recovery How to Unbrick Your Android Phone: 4 Methods for Recovery If you've accidentally bricked your Android phone and need to fix it, this is how. Read More , but it isn’t easy to just extract data from (except on a rooted device, naturally — Titanium Backup has an “Extract from Nandroid” option built right in). To make a Nandroid backup, boot into your custom recovery and navigate to Backup. It can take a good 10-20 minutes to complete, so don’t touch your phone while it’s still in progress. For a more straightforward backup of your apps and data, try Helium. It has root and non-root options, and on the latter, it requires you to work with a desktop companion app. Download Helium from the Play Store and install the desktop companion from www.clockworkmod.com/carbon. The Chrome browser version works okay, although Chrome app support is due to be phased out in the next year. Connect your phone to your computer and launch Helium on both devices. Follow the on-screen instructions to get connected. On your phone, select the apps you want to backup, or hit Select All, then press Backup to begin. You restore your data in the same way, only using the Restore & Sync tab instead. If you upgrade to the paid version of Helium, you can automatically upload your backups to cloud storage for safe keeping. Truly stock Android devices are rare these days. Most manufacturers pre-install a bunch of extra apps on their phones that cannot be easily removed, and may or may not offer any value Android Battery Killers: 10 Worst Apps That Drain Phone Battery Android Battery Killers: 10 Worst Apps That Drain Phone Battery Get rid of these apps if you want to have decent battery life. Read More . Even Google does it. With a rooted phone, you can blitz bloatware instantly. Apps like Titanium Backup and System App Remover make the process almost as painless as uninstalling an app from the Play Store. For non-root users, your options are mostly about hiding unwanted apps. This might not sound so good, but removing a system app doesn’t actually free up the space to use for other things, so it makes little practical difference in the long run. Disable the apps. Go to Settings > Apps, then locate the app. Click through and select Disable. The app will be closed, updates uninstalled, and it will be removed from your app drawer. Hide the apps with ADB. 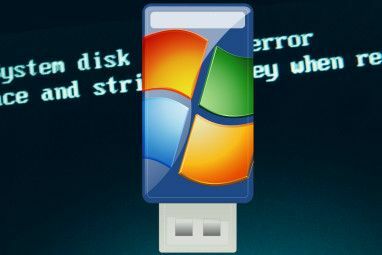 Connect your phone to your computer and at the Command Prompt or Terminal type adb shell pm list packages. Find the package name for the app you want to hide, then copy it. Now type adb shell pm hide [package name] and reboot. Replace hide with unhide to revert your changes. Improving the sound quality from your phone is one of the big reasons to root. There are numerous root apps and Xposed modules The 13 Best Xposed Modules for Customizing Your Android Device The 13 Best Xposed Modules for Customizing Your Android Device The Xposed Framework is one of the best reasons to root Android, and these Xposed modules add awesome functionality. Read More that use their deep system integration to enhance a device’s audio output. But if you don’t want to go that far, you don’t need to. There are several equalizer apps in the Play Store that can do a similar job. And some music apps like Spotify also have their own equalizer 11 Lesser-Known Features in Spotify for Android You Should Be Using 11 Lesser-Known Features in Spotify for Android You Should Be Using You might not know about these Spotify features, but you should. Read More built in. A good option to choose is Equalizer – Bass Boost. It’s free and works with headphones and internal speakers. You can configure each option separately with your own presets. When you launch the app, you’ll be prompted to disable any other equalizer app that’s running. Once you’ve done that, the rest is pretty intuitive. Toggle the Equalizer on, then experiment with the sliders — from bass on the left to treble on the right. There’s a host of presets as well. While there are many pros and cons to rooting, most people who want to get into tweaking and modding their phones would believe they don’t have a choice. But it isn’t true. From very advanced tweaks like installing a new ROM, to everyday tasks like backing up your data, rooting your phone is no longer a necessity. What are your favorite non-root tweaks? Share your experiences and ideas in the comments below. Explore more about: Android, Android Customization, Android Launcher, Android Rooting. Blokada as an ad blocker in a non rooted phone. 5 of these are root related. what mind of article is this? I use Package Disabler Pro to take apps from the phone and store them in their backup. Only works with Samsung phones but frees up so much space from bloatware that cannot be disabled or uninstalled. I tried the tip for getting Google Now cards in Nova Launcher, but didn't see the relevant setting. So I tried launching the Nova Google Companion app and got a notice that "Nova Launcher 5.3-beta1 or higher is required." I have the version in the Play Store, which is 5.2, so this tip won't work for me. I'd suggest that you update the post to indicate the minimum version of Nova Launcher required and explain how to get it (since it's beta). Thanks. Don't see anything above 4 offered in the Play Store.